Buy Italian wine in quantities of 6 or more bottles and get 50% off shipping with code "corner88"
Okay folks I've got the idea to start a regular feature on the CCWB, I'll will be interviewing local San Diego wine loving celebrities once a month. So if you have any ideas on folks you would love to see in this regular feature please feel free to leave your suggestion in the comments section. So for my first guest I've reached out to someone that really does not need any introduction, she is one of the anchors [major players] on San Diego's 100.7 Jack FM morning show the DSC. The highest-rated and high-profile morning show in San Diego also known as "Dave, Shelly & Chainsaw". Their show has been a staple of San Diego radio since the early 90's. The DSC show has found great success in San Diego market, releasing many best-of CD's and even a couple of motion pictures. Their show has achieved cult status in the San Diego and Temecula market, I guess you could say that their listener's have been drinking the DSC koolaide and enjoy every sniff, swirl and slurp to the familiar refrain, love your show! 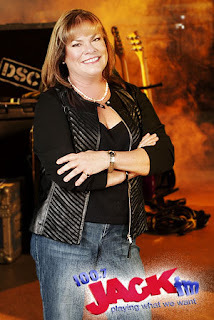 Featured in the March edition of the CCWB an interview with Shelly Dunn, the producer and voice of the DSC's half-baked crack pot news, part of the original Dawn Patrol, major player on the DSC and a devout cork-dork. One thing you could definitely not say about Shelly any longer is that she doesn't know JACK, because it's obvious that she actually does know 100.7 Jack FM. Shelly Dunn has been part of the San Diego community since 1990. While listening to the show the other day, I heard some other fun-filled but little known facts about one of San Diego's favorite wine-diva's, Shelly Dunn. She once hooked-up offer to stayed in a convent overnight, but didn't come back with any bad-habits. Back when she was in school, it was one here college roomates that produced a movie, starring Justin Timberlake. She has fileted over 50 fish at one time, flown on Virgin Airlines, worn a full-length mink coat to a gala, sailed a 14 foot inflatable raft to Catalina, but has never uncorked a bottle of wine over a $1000, but if the opportunity presented itself, she wouldn't hesitate. Her favorite past times include working, gardening and running with her dogs on Fiesta Island and oh yeah, a few glasses of good wine round out the sweet life for her here in San Diego. Feel free to friend her up on FB, while you still can. So with no further ado, here's the first installment of the series on San Diego's who not only rock their city but also love to get juiced. CCWB: How did you started in Radio? SD: Started in radio at the University of Oklahoma. They had a college radio station KGOU where I volunteered time on the overnight shift...met lots of radio people and when there was an opening at Rock 100 The KATT in Oklahoma City, I got the morning news chick gig. CCWB: Is there any food, that you know of that just doesn't pair with wine? SD: Well, I don't really like sushi with any kind of sweet wine they recommend...so I drink a chardonnay or sake with it. CCWB: What is the most challenging thing about working on the radio? SD: Getting up early is the most challenging thing about working in radio...other than that, it's GREAT! CCWB: What is the greatest opportunity that has come from a career in the radio biz? SD: So many things...getting to ride with the Thunderbirds in an F-16 in Arizona...getting to ride with the Blue Angels here in San Diego...getting to meet famous people ...getting to meet listeners...getting to go to concerts...it's all pretty great! CCWB: What is your most memorable radio moment? SD: Hmmm...the most memorable radio moment. I loved meeting Dan Akroyd, and Grace Slick...and Sugar Rae Leonard, Drew Bres, ...but what stands out more than that, is the morning we all were together on 9/11. We were in shock of what was happening. We stayed on the air until noon that day and it felt like just an hour and like 24 hours, all at the same time. To know that our country was being attacked was horrific. Being able to talk about it and tell listeners the latest was surreal....and it seems like it was yesterday. CCWB: It's your last day on earth, what would your final meal be? SD: Hmmm, thinking my final meal would be Ribeye and Lobster with a Chateau Montelena Cab...ok, throw in a baked potato and I'm a happy lady! CCWB: What super-action-hero would you like to be and why? CCWB: Do you have any wacky cooking habits? SD: Cooking habits...I must clean as I go...I hate a messy kitchen....and there SHOULD be a glass of wine going while you're cooking! CCWB: Do you make a better Tri-Tip than San Diego's Sam the Cooking Guy? SD: Is there really ANY bad tri tip? Sam's is wonderful, I'm sure...the recipe he told us about on the air last week sounded great. I just LOVE to soak beef in beer...I think it breaks down and tenderizes the grain and I love the added layer of taste it brings to the flavor. CCWB: What is the best wine advice you have to share? SD: Best wine advice...drink what YOU like. Do not over chill white wine...it kills the flavor...and let red wine OPEN up for a while before you pour. CCWB: What is your one obsessive wine habit? SD: I like to save the corks...as if I'll do something with them EVER....I did find out that Whole Foods will recycle them...but I keep forgetting to bring in my BAG of corks. 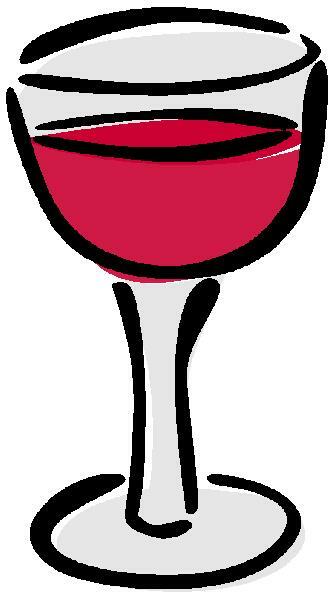 CCWB: If you could choose to be any wine, what would it be? CCWB: If looked in your refrigerator, what would I find? SD: In my fridge right now...a tupperware container of chicken veggie soup I made. lots of cheeses, organic whole whipping cream (used in coffee, which I only drink about once a week...so check to make sure the cream has not gone bad!) lots of olives [I do love to just eat them..and an occasional dirty martini is nice too] pom juice, tangerine juice...my favorite hot sauce from South Coast in OB (Valentines, I think) some Greek yogurt with honey and the usual mayo, mustard, wine vinegars, horseradish for bloody Mary's..capers...and some sort of science project that I've long since forgotten about. CCWB: What is the one "staple" food you always have in your cupboard or pantry? SD: I like to keep some sort of pasta around...when you need to whip up something fast and easy, pasta is good staple food. CCWB: What is your beverage [if not wine] of choice? SD: I love Pelligrino water..buy it by the case at Costco...also love green tea in the morning and then wine. CCWB: What is your favorite comfort food? SD: I would have to say that my favorite comfort food....is the BLT. It sure hits the spot...and soup is a home run almost every time. CCWB: What is your wine claim to fame? SD: Well, once a boss was hosting a dinner for our show at a local NICE steak house...and there was lots of wine ordered...large format Chateau Montelena Cab...and as we were leaving, I noticed that one bottle still had a significant amount of wine in it...so I tucked it under my jacket...which was totally obvious...and staggered out [I had a designated driver] fooling no one about taking the wine...which would have been fine anyway...it just seemed cooler to sneak it out. CCWB: What is in your kitchen junk drawer? SD: I have a junk basket in the kitchen...all those little things to recork a bottle of wine live there...along with corkscrews....mail I want to save for a while, coupons, pens, rubber-bands and business cards. CCWB: I know that Chateau Montelena Cabernet Sauvignon is your favorite wine, but would you drink this wine from Boyer's chukka boots, while reclining in his jeep? SD: First off...there is NOTHING I'd want to drink from Boyer's Chukka Boot, whilst reclining in his Jeep except hemlock...trust me, I've been in the shell of a Jeep in his back yard [to do a photo shoot] where we were pretending to be going from 'rags to riches'...the Jeep setting was to illustrate our 'rags'. The floorboard was full of mouse/rat droppings...[never again]. However, most of the time, uncorking a bottle of ANYTHING from my beloved Chateau Montelena is a great time. I love their Chard as well as their Cab's...and they recently sent a Syrah [not to brag, but for mere money, I'm in their 'club' and they send wine quarterly] that was marvelous! CCWB: Have you ever heard of California Classic style [oaky, buttery] Chardonnay referred to as "Cougar-Crack"? If yes, could you please explain why you think that? If not, please explain why this style of Chardonnay is so popular with certain age and gender groups in California? SD: Oaky Chard for Cougars...or Cougar-Crack...must be because it's used as a food substitute...a big, chunky wine like that can nourish the Cougar until such a time as she finds prey...That's my only excuse, er...I mean...the only reason I can think of now! I thought this was a great interview and I hope you enjoyed it as much as I did. If you have not heard Shelly on the DSC show before, I would encourage you to give her a swirl, Monday through Friday from 5am to 10am. You can look forward to many more interviews over the course of the year, as it is part of CCWB's mission to span the globe in bringing to you my readers the constant variety of vino and vino related stories. Until next sip long and prosper, cheers. Thanks Fred glad you liked it, I'm a fan of the Ch. Mont myself. Just a bit above my paygrade.